Forward thinking engineers are often tasked with the directive to combine job functions. 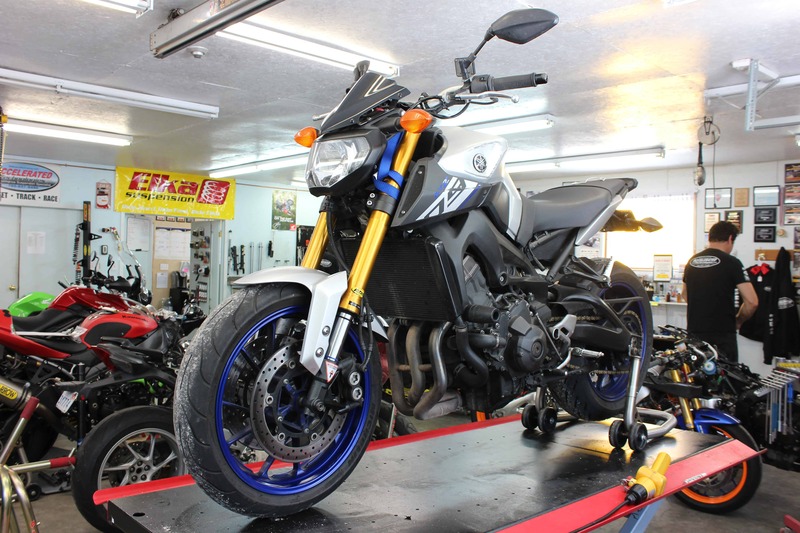 In a design, if the component can do several functions, it will reduce both weight of the vehicle, which is always a goal in the power sports industry, and, if successful, it should also reduce the cost of manufacture. Whenever the cost goes down, the profit goes up if the end price to market remains the same. American entrepreneur Erik Buell was famous for this, as he always tried to think outside the box with his creative ideas. Erik took advantage of the hollow swingarm of some of his models and filled it with oil for his dry sump Harley based Sportsters. 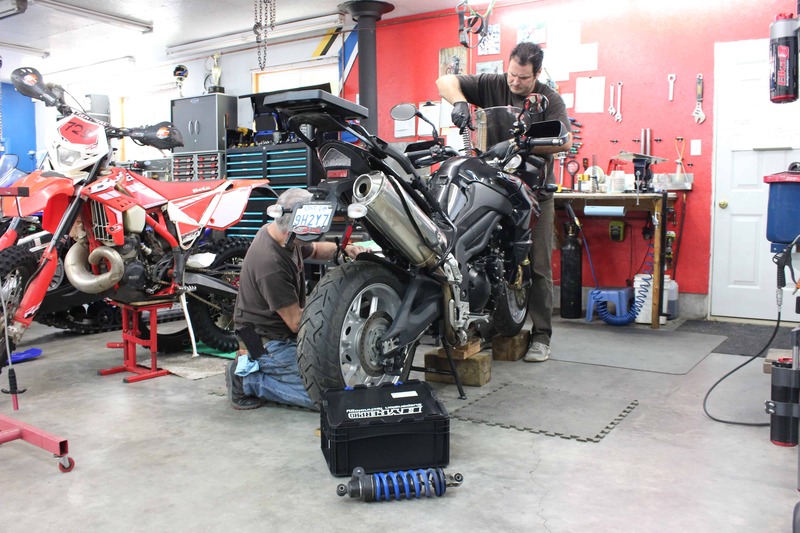 We can argue that there are better places to place oil than the frothing, agitating nature of a constantly moving swingarm that normally runs crazy hot on an air cooled V-twin motorcycle, but still, it is an innovative idea. Another Erik Buell creative use of a hollow casting was to fill the frame with gasoline… The removal of the normal fuel tank allowed more room for the all important airbox, but after that, the cons start to outweigh the pros. Not only did the welding process for the frame now need to go under much greater scrutiny as it had to contain a very volatile liquid, but again heat was a concern. When I worked with Steve Crevier as he piloted the Buell XB-RR in the Daytona 200 back in 2007, the massive engine heat from the huge V-twin was so bad that it was burning Steve’s right hand when he came into the pits. This heat, which never affected the fuel in a conventional location, was boiling it in the Buells, causing concerns of vapour lock and worse. The modern front fork however, is an example of a multi function piece of engineering that has been refined over time to take on its many tasks with ease. We immediately think of its suspension duties when we first think of our forks, but isolating the rest of the chassis from the road imperfections is just one of the many duties they have. The forks most important task involves the brakes, as the lower fork tubes need to hold the brake calipers perfectly aligned over the rotors and be both strong enough to withstand the massive amount of torque supplied during hard stopping, and yet be light enough to react quickly and with minimal inertia over every bump in the road. The bushings inside the forks need to be able to transmit all of that torque up to the motorcycle while still be slippery enough to continue to follow bumps in the road during aggressive braking. Don’t forget that during all of this twisting and motion that the forks still need to keep all of their internal fork oil from leaking down to the brake calipers, or even worse the front tire. When we envision our forks working either on the street, the paved race track, or in the dirt, we often imagine them in operation straight up and down. While that is most often the case, the forks must also continue to do their job at crazy lean angles, sometimes beyond 45 degrees. Question if you will, how is a fork supposed to absorb a bump when the bike is leaned over so far that the rider is dragging his or her elbow on the ground? Well, a little bit of movement will be absorbed by stroke into the fork, but the rest of the bump that isn’t displaced by sidewall flex in the tire, ends up twisting the fork tubes slightly, or even twisting the whole bike through the steering head bearings. Engineers have come full circle since the 1990s when logic stated ‘stiffer is better’ in chassis and fork design. Reality is, that some weakness in very specific directions only, helps the motorcycle track through bumps far better, keeping the tire on the ground and the motorcycle on its intended trajectory. In mid season 2005, the Ducati Desmosedici Moto GP bikes were among the fastest bikes in the paddock but their large powerful 90 degree V engine configurations took up a lot of room in the chassis. During hard braking from over 300 km/h, the forks flexed so bad that the tire deflected back and contacted the front cylinder head and rad bottom, a distance of 5-10mm at fork bottom! 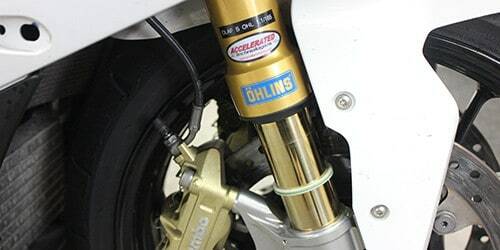 Efforts by Ohlins to make the fork tubes stiffer by going to larger diameters, as well as testing outer fork tubes made from carbon fibre, helped solve the problem, but not without side effects. This problem led Ohlins to one solution, where the outer fork tubes on their FGR race forks are now ‘special’. The round outer fork tube has been machined on the left and right sides to weaken the fork encouraging flex left to right, while remaining strong along the axis of the front tire where braking loads transfer back into the chassis. Another challenge that the engineers must overcome, is in both permitting lots of motion in the forks, and limiting it too. If the forks stroke too far in their travel, the bike will leave the critical window of operation and ill handling will result. We have all heard of rake and trail discussed often in this magazine, and we can imagine that it is important to stay close to what the engineers designed, so we can appreciate that the spring rate and preload on the fork springs must be right for our bike and body weight to ‘hold’ the bike in the correct geometry. The damping system inside the fork must also provide great comfort and yet not bottom easily when ridden hard, again keeping the geometry close during times of motion. Now that we have a bit more respect for the two metal rods that hold onto the front tire for us, can we now comprehend that they must also twist left and right in relation to the frame initiating the all important turning function of the motorcycle? Yes, that’s right, the whole fork, wheel and brake assembly can’t even be rigidly mounted to our bikes, as they must also be permitted to twist, necessitating that all the communication wires, brake hoses, and cables be of a floating design to permit a great sweep angle left and right all rotating around our steering head bearings. 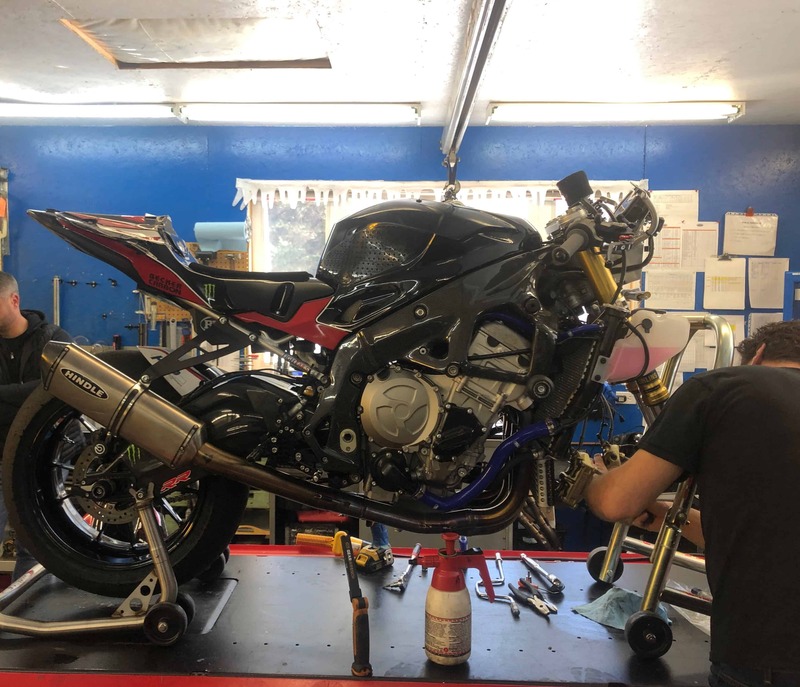 By now, we should be starting to realize that the fork assembly is far more important than the lowly rear suspension link that simply attaches the swing arm to the shock absorber out back. Do yourself a favour this winter and have your forks serviced, they will love you for it!